One of the most valuable lessons you can teach your kids is about the importance of money. However, long, laborious lectures aren’t going to work. Instead, you need to turn day-to-day things, like going to the bank or the ATM machine, into lessons about money. It’s easy to understand why kids think money grows on trees, especially in a day where reams of cash come straight out of a hole in the wall. That’s why it’s important to teach them where the money comes from, and that it isn’t an endless resource. Explain that, in order to get money from the bank, you need to work hard first, and that the bank is just a safe place to store it (understandably, after the recent economic crash, you will have to remove some of your cynicism from this remark)! How Can I Budget for Things I Want? 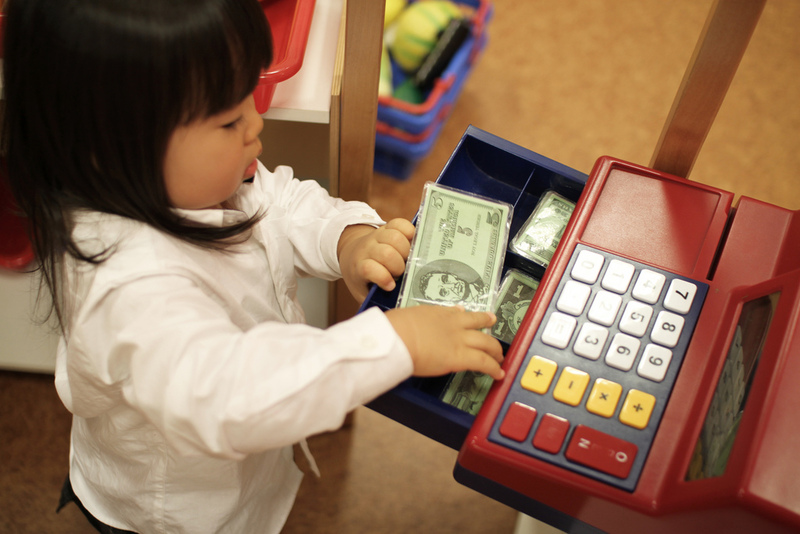 One of the easiest ways to teach your kids how to manage money is to give them an allowance. Therefore, if they spend all of this on the latest video game, they’ll learn they won’t have enough left over for the new pair of shoes they’ve been looking for. This allows them to gain first-hand experiences of what happens if they overspend and don’t budget properly. Impulse buying is easy when you’ve been given some money, but your child needs to learn that you shouldn’t spend all your money as soon as you get it. So, when you go shopping, create a list and allocate a budget to each item. Then, look at prices online and for any offers, comparing these to make sure you’re getting the most for your money. This routine planning will help them to make good financial purchases in the future. Why Should I Be a Bit Skeptical? Even though you don’t want to make your child feel as though every company is corrupt and out to get them, it’s important they understand the need to look into every deal or contract in detail. For example, if there’s an offer on the TV, it’s key they understand the company is trying to sell them something by making them feel a certain way. I.e. if you have these clothes, you’ll be the most popular kid in school. This will provide them with important skills they can use when taking out loans or credit cards in the future, teaching them to learn more about the application before proceeding. Why Should I Keep Track of My Spending? You child’s money management skills will be enhanced just by knowing exactly where their money is going. To keep track of their spending, encourage them to set up a spreadsheet on their computer or in a notebook, making a file for all their statements and receipts. With these simple tricks, you can start to teach your child important life lessons that will help them significantly in the future.